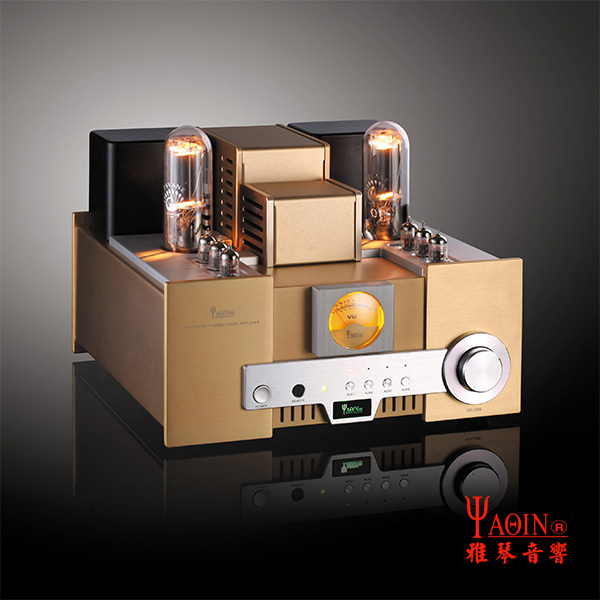 Yaqin MS-650B Single-Ended Power Amp, output power 2x15W. 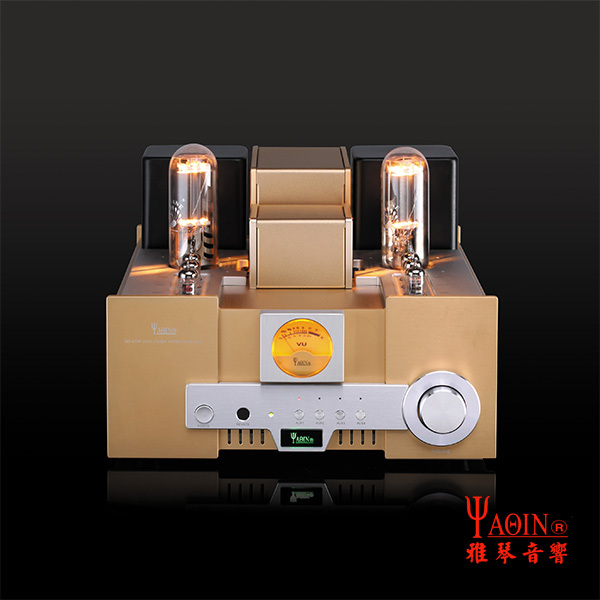 Yaqin MS-650B single-ended power amp with direct heated power triode 845 and four double triodes 12AU7 with two double triodes 12AT7 in preamp. 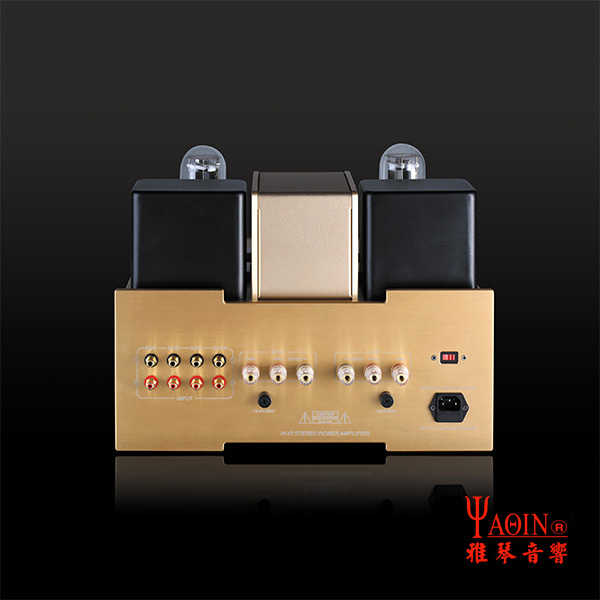 All device contains power amp and preamp with power supplies in one enclosure. Tubes are protected by High DC voltage delay - about 10s. 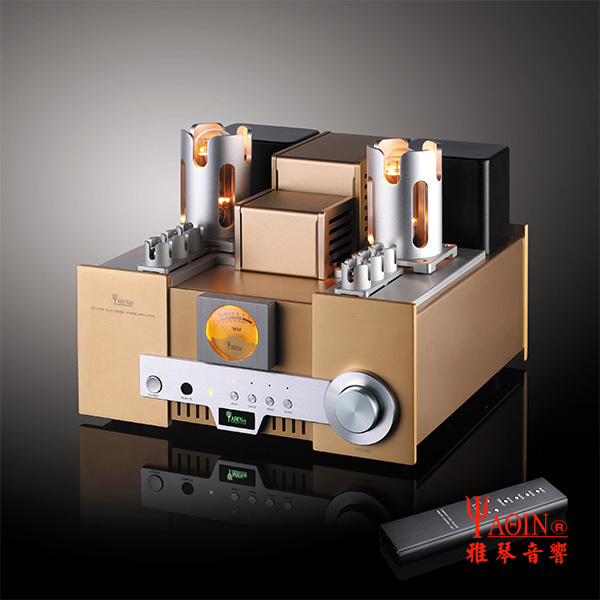 Yaqin MS-650B has separeted transformers in power supplies. Remote controller for volme control and input selector is in aluminium enclosure. 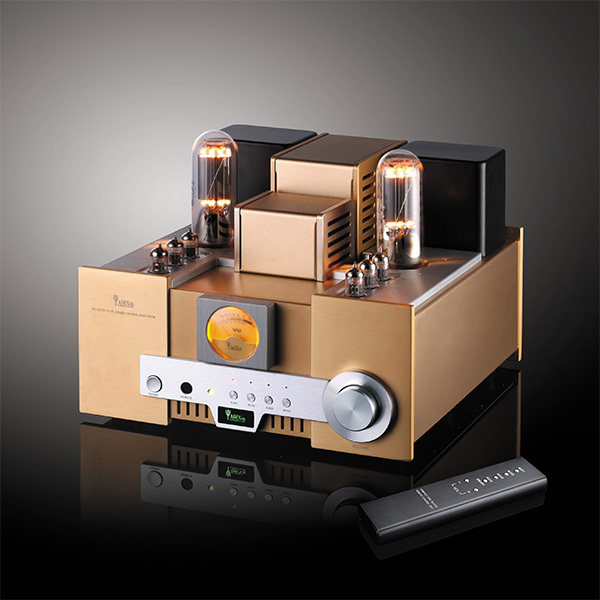 It’s very important to maintain the stability and accuracy of the operating points of the tube amplifier, especially of the power amplifier tube. The screen current changes when the tube gets ageing, or replacing the tube. 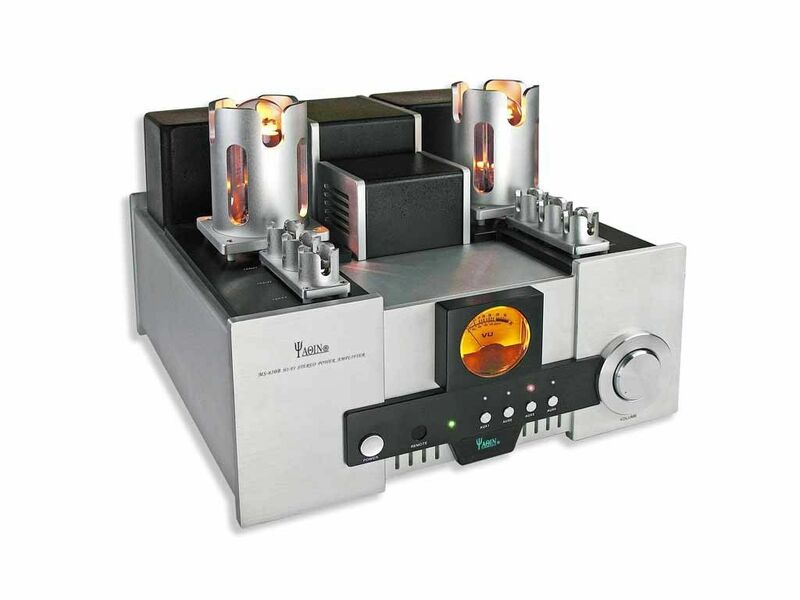 Break away of the required operating points will influence sound resolution and the stability of the device. So, please check and adjust the screen current after a long time of use, and it is the same when changing the tube. When replacing the 845 tube, use a multi-meter to see whether there is a deviation from the screen current. It should be about 2.7V in every local standard voltage. If you find out a deviation, please use screwdriver to adjust the variable resistance in each hole. The variable resistance increases clockwise, and decreases counter-clockwise, Make sure that the screen current is about 2.7V in every local standard voltage. Measure and adjust it once again when the tube is hot enough.